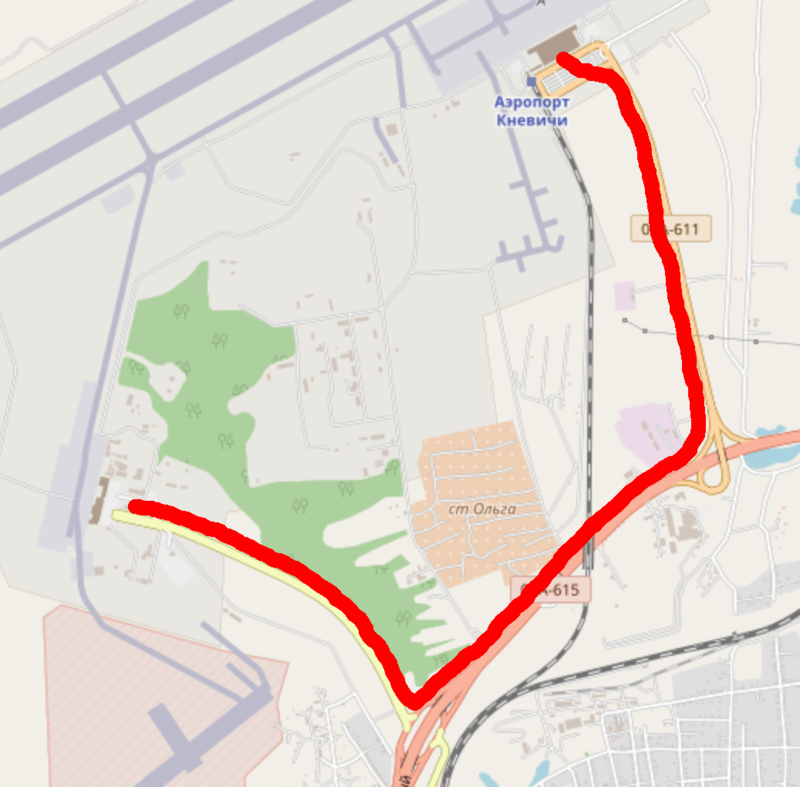 Is it possible to go from Vladivostok Airport to a nearby hotel without using any money? I don't mind walking for kilometers. Note: There will be no snow. Zero road crossing (the road from the airport, and even more so the highway to which it leads, are large roads with fast traffic, crossing them would be suicidal). OK with a backpack and hiking shoes, not OK with a rolling suitcase or light shoes. Exit the airport building, cross the parking. Walk through the parking gate, no questions asked. 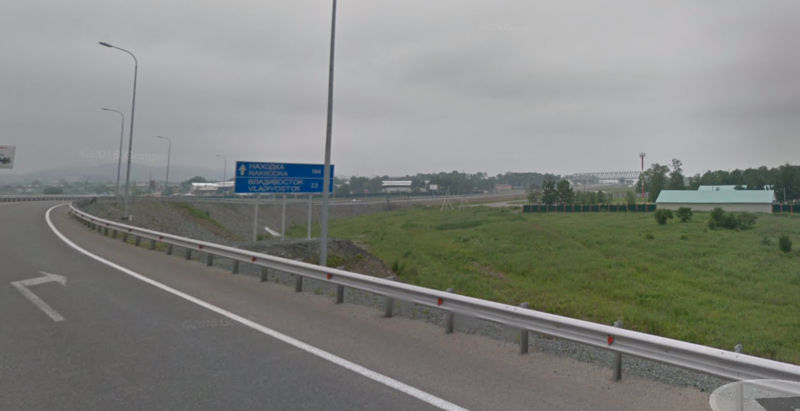 There is a 3 meters-wide grass area between the guardrails and the marsh. Walk along it for 1.7 km (so, you are not on the road, but besides the road). The curve has the highest point, and the path is getting narrower, down to 50 cm at some points, but just continue walking. After the curve, just continue walking along the highway, still besides the road, for 1.7 km again. 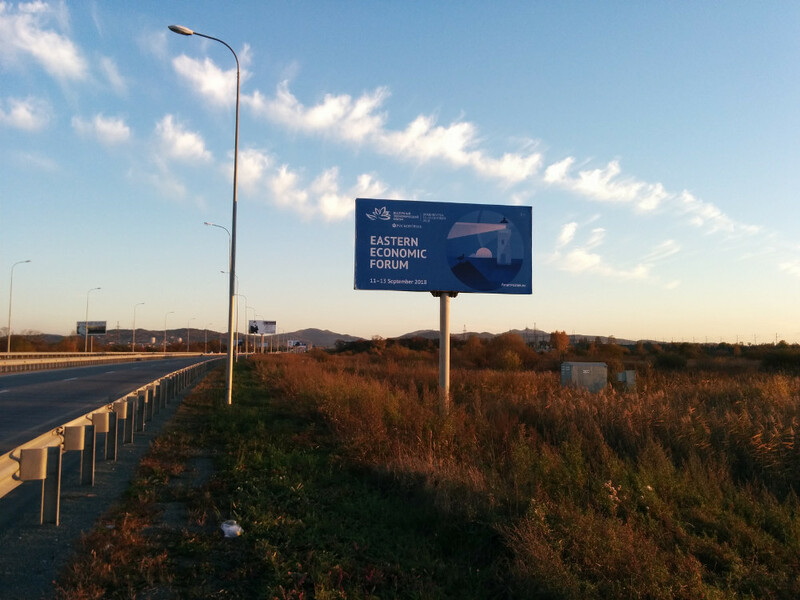 Turn right at the ramp exiting the highway towards "Doroga V Aeroport Vladivostok", and walk again for 1.7km. 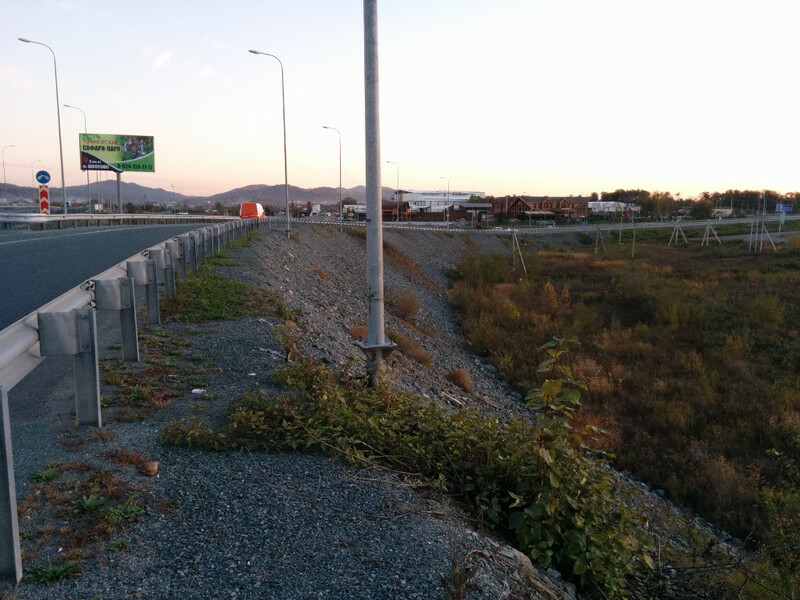 This time there is no space behind the guardrails, but the side of the road is large, and there are not so many cars. You are now at the old airport terminal, nowadays called "Terminal B". There are two hotels: Hotel Avia and Hotel Venetsiya. Step 5: On some portions there is even a walkway. 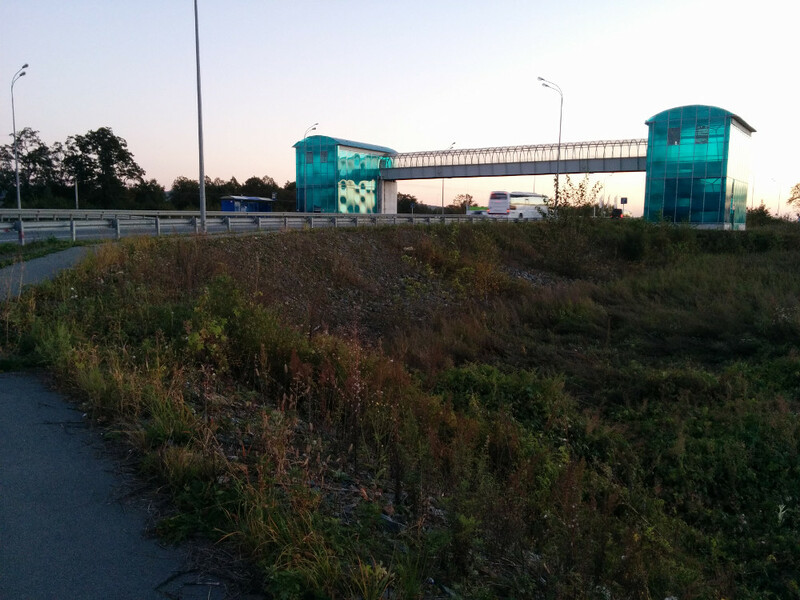 Also, if you want an hotel in Artem then that pedestrian bridge is your only option to cross that highway. Don't trust Google Maps, it makes you cross military camps. OpenStreetMap has the best information about this area (and Vladivostok in general). Bonus: To go to Vladivostok the next day, take bus 7 to Artem intercity bus terminal (43.3531, 132.1685), then take an intercity bus to Vladivostok, then another bus within the city, the sum of the three will be about RUB200, which is just a bit less than what bus 107 costs from the new terminal. As the hotel receptionist told me, good luck! 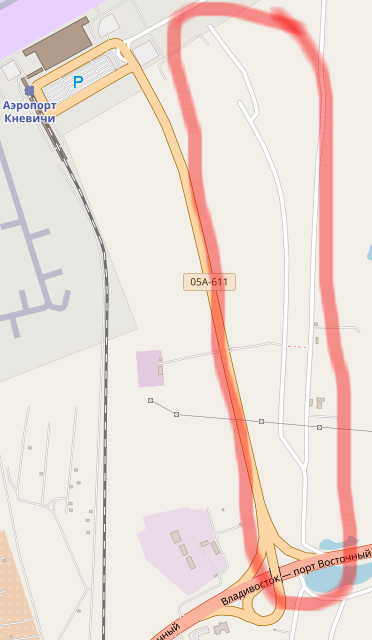 It's a 2km walk along a road that none of maps consider walkable, but on OSM it is accompanied by minor roads which should be walkable. Note that they're not 2GIS, but on satellite view they're visible. They seem to degrade at the end of path but not impassable. The real challenge here is crossing major road at the end. Or, you may take a long detour through dachas. 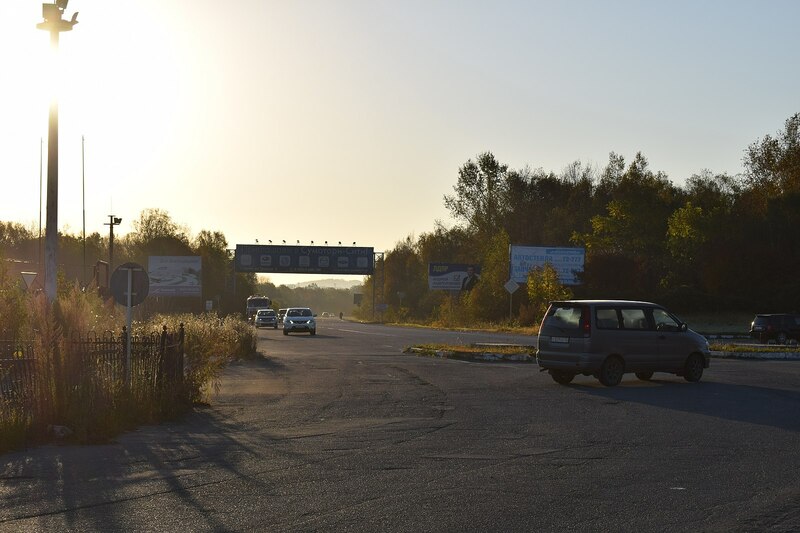 Note that you can usually trail along any road in Russia just on the other side of bumper. It's also one bus stop on "7" bus. 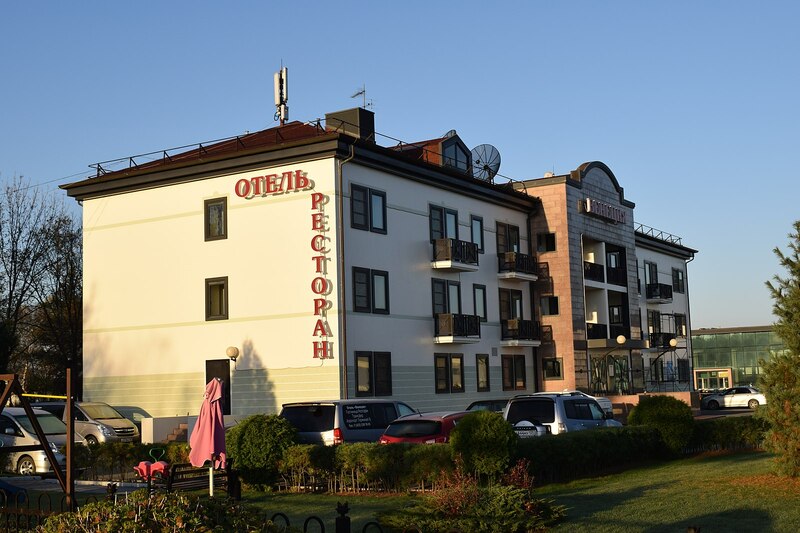 According to booking.com, the hotel mentioned by alamar offers a free shuttle: https://www.booking.com/hotel/ru/cedar-house.html, so technically you won't spend money on transportation since you plan on staying in a hotel anyways. Not the answer you're looking for? Browse other questions tagged airports budget walking vladivostok or ask your own question. How to go from Vladivostok to Beijing by land? Can I walk out of Brisbane Airport? How to find a co-working space in Vladivostok as a tourist?